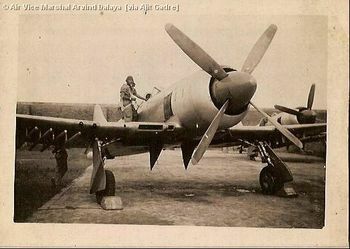 The ground attack version with a laser rangefinder in the nose, a raised seat, cockpit external armour plate and large low pressure tires. On the bottom of each side of the fuselage a RWR system has been added. 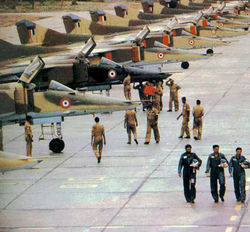 A line up of MiG-23BNs, from the No.10 Squadron, at Jodhpur AFS. 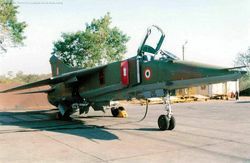 A MiG-23BN (SM294), from No.10 Winged Daggers Squadron, armed with BAP-100 anti-runway bombs fitted in the inner pylon. 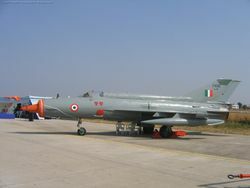 No.10 squadron has since converted to the MiG-27ML Flogger. 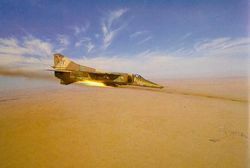 A MiG-23BN, from No.220 Desert Lions Squadron, in action. 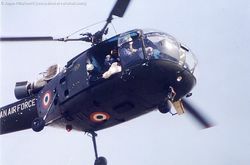 The squadron is one of three operating the type. 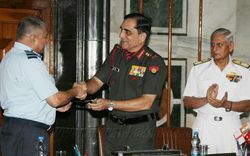 Notice the airbase at bottom right. 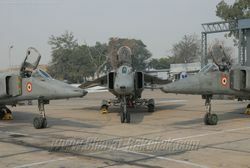 The MiG-23BN fleet is likely to be withdrawn over the next five years and be replaced by upgraded MiG-27MLs. 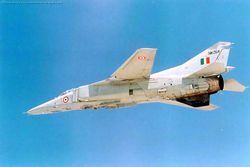 A MiG-23BN, from the No.220 Squadron, flies over the historic Jodhpur Palace - Umaid Bhavan in Rajasthan. 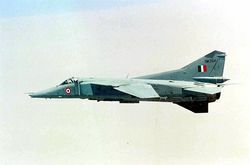 MiG-23BN, SM-264 in low visibility scheme.